Lincolnshire Police have confirmed that an elderly man from Mablethorpe has died in hospital following a road traffic collision earlier this week. The collision happened on the A158 at Langworth, near the rail crossing, at around 3.30pm on Tuesday (May 22). It involved a red Kia Ceed and a Mercedes tipper lorry. 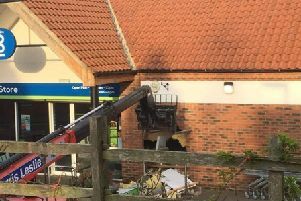 The driver of the Kia, a 76-year-old man from Mablethorpe, was initially taken to Lincoln County Hospital and later transferred to the Queen’s Medical Centre in Nottingham where he sadly died on the May 24. The driver of the tipper lorry was not injured.